The USA launched the Vanguard 1 satellite. Vanguard 1 was a small Earth-orbiting satellite designed to test the launch capabilities of a three-stage launch vehicle and the effects of the environment on a satellite and its systems in Earth orbit. It also was used to obtain geodetic measurements through orbit analysis. It was the second satellite launched by the U.S., the first successful satellite of the Vanguard series, and the first satellite to use solar cell power. It is the oldest satellite still orbiting the Earth. 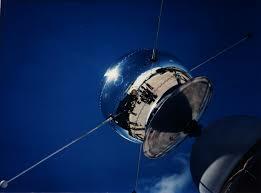 Vanguard 1 launched on 17 March 1958 at 12:15:41 UT from the Atlantic Missile Range in Cape Canaveral Florida. At 12:26:21, the third stage of the launch vehicle injected Vanguard 1 into a 654 x 3969 km, 134.27 minute orbit inclined at 34.25 degrees. Original estimates had the orbit lasting for 2000 years, but it was discovered that solar radiation pressure and atmospheric drag during high levels of solar activity produced significant perturbations in the perigee height of the satellite, which caused a significant decrease in its expected lifetime to only about 240 years. The battery powered transmitter stopped operating in June 1958 when the batteries ran down. The solar powered transmitter operated until May 1964 after which the spacecraft was optically tracked from Earth. The spacecraft was a 1.46-kg aluminum sphere 16.5 cm in diameter. A cylinder lined with heat shields mounted inside the sphere held the instrument payload. It contained a set of mercury-batteries, a 10-mW, 108-MHz telemetry transmitter powered by the batteries, and a 5-mW, 108.03-MHz Minitrack beacon transmitter, which was powered by six square solar cells mounted on the body of the satellite. The cells were single crystal silicon and produced a total of about 1 Watt with 10% efficiency at 28 C. Six 30-cm long, 0.8-cm diameter spring-actuated aluminum alloy aerials protruded from the sphere. The aerial axes were mutually perpendicular and passed through the center of the sphere. The transmitters were used primarily for engineering and tracking data, but were also used to determine the total electron content between the satellite and ground stations. Vanguard also carried two thermistors which measured the interior temperature over 16 days in order to track the effectiveness of the thermal protection. A cylindrical separation device kept the sphere attached to the third stage prior to deployment. At deployment a strap holding the satellite in place released and three leaf springs separated the satellite from the cylinder and third stage at a relative velocity of about 0.3 m/s. Vanguard was the designation used for both the launch vehicle and the satellite. The first stage of the three-stage Vanguard Test vehicle was powered by a GE X-405 28,000 pound thrust liquid rocket engine, propelled by 7200 kg of kerosene and liquid oxygen, with helium pressurant. It also held 152 kg of hydrogen peroxide. 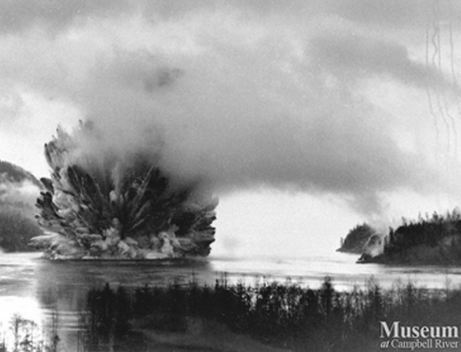 It was finless, 13.4 m tall, 1.14 m in diameter, and had a launch mass of approximately 8090 kg. The second stage was a 5.8 m high, 0.8 m diameter Aerojet-General AJ-10 liquid engine burning 1520 kg Unsymmetrical Dimethylhydrazine and White Inhibited Fuming Nitric Acid with a helium pressurant tank. It produced a thrust of 7340 pounds and had a launch mass of approximately 1990 kg. This stage contained the complete guidance and control system. A solid-propellant rocket with 2350 pounds of thrust was developed by the Grand Central Rocket Co. to satisfy third-stage requirements. The stage was 1.5 m high, 0.8 m in diameter, and had a launch mass of 194 kg. The thin steel casing for the third stage had a hemispherical forward dome with a shaft at the center to support the satellite and an aft dome fairing into a steel exit nozzle. The total height of the vehicle with the satellite fairing was about 21.9 meters. The payload capacity was 11.3 kg to a 555 km Earth orbit. A nominal launch would have the first stage firing for 144 seconds, bringing the rocket to an altitude of 58 km, followed by the second stage burn of 120 seconds to 480 km, whereupon the third stage would bring the satellite to orbit. This was the same launch vehicle configuration, with minor modifications, as used for Vanguard TV-3 and all succeeding Vanguard flights up to and including Vanguard SLV-6. The USA launches the Vanguard 1 satellite. 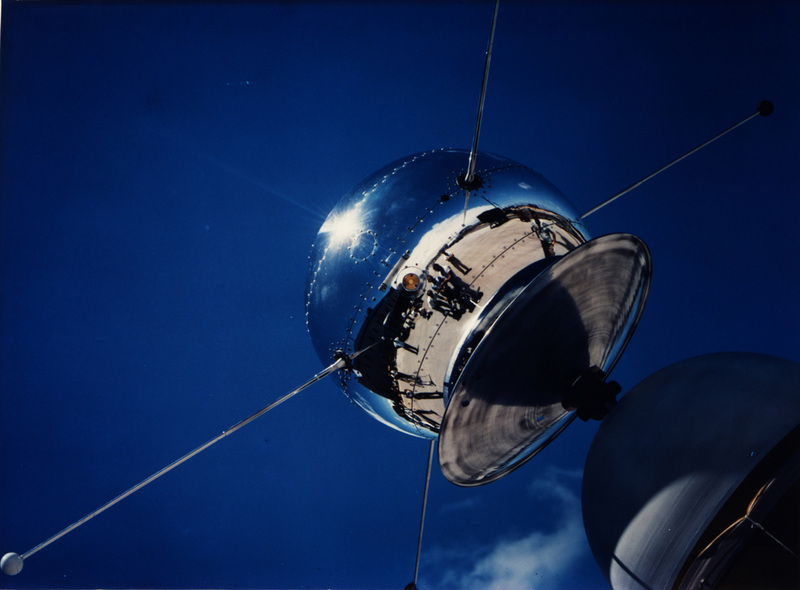 Vanguard 1 was the first satellite to have solar electric power. Although communication with the satellite was lost in 1964, it remains the oldest man-made object still in orbit, together with the upper stage of its launch vehicle. It was designed to test the launch capabilities of a three-stage launch vehicle as a part of Project Vanguard, and the effects of the space environment on a satellite and its systems in Earth orbit. It also was used to obtain geodetic measurements through orbit analysis. Vanguard 1 was described by the Soviet Premier, Nikita Khrushchev, as “the grapefruit satellite”. The spacecraft is a 1.47 kg aluminum sphere 16.5 cm in diameter. It contains a 10 mW, 108 MHz transmitter powered by a mercury battery and a 5 mW, 108.03 MHz transmitter that was powered by six solar cells mounted on the body of the satellite. Six short antennas protrude from the sphere. The transmitters were used primarily for engineering and tracking data, but were also used to determine the total electron content between the satellite and the ground stations. Vanguard also carried two thermistors which measured the interior temperature over sixteen days in order to record the effectiveness of the thermal protection. A backup version of Vanguard 1 is on display at the Smithsonian National Air and Space Museum, Steven F. Udvar-Hazy Center in Chantilly, Virginia. On March 17, 1958, the three-stage launch vehicle placed Vanguard into a 654-by-3,969-kilometer , 134.2 minute elliptical orbit inclined at 34.25 degrees. Original estimates had the orbit lasting for 2,000 years, but it was discovered that solar radiation pressure and atmospheric drag during high levels of solar activity produced significant perturbations in the perigee height of the satellite, which caused a significant decrease in its expected lifetime to only about 240 years. Vanguard 1 transmitted its signals for nearly seven years as it orbited the Earth. A 10 mW transmitter, powered by a mercury battery, on the 108 MHz band used for International Geophysical Year scientific satellites, and a 5 mW, 108.03 MHz transmitter powered by six solar cells were used as part of a radio phase-comparison angle-tracking system. The tracking data were used to show that the shape of the Earth has a very slight north-south asymmetry, occasionally described as “pear-shaped” with the stem at the North Pole. These radio signals were also used to determine the total electron content between the satellite and selected ground-receiving stations. The battery-powered transmitter provided internal package temperature for about sixteen days and sent tracking signals for twenty days. The transmitter powered by solar cells transmitted for more than six years. Its signal gradually weakened and was last received at Quito, Ecuador, in May of 1964. Since then the spacecraft has been tracked optically from Earth, via telescope. 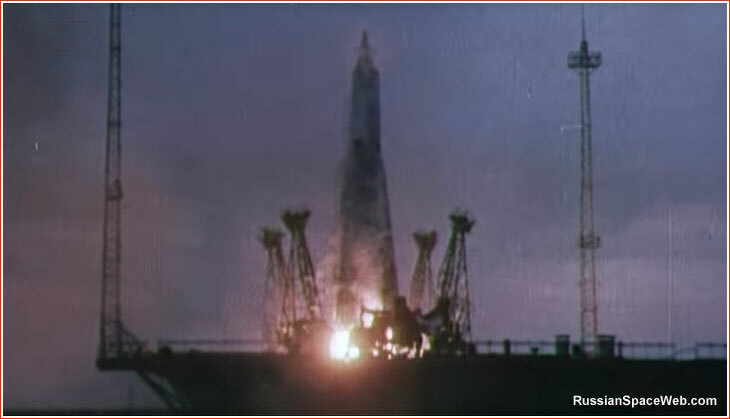 On May 15, 1958, the USSR launched its Third Artificial Satellite. While two previous Soviet orbiters were propelled into space by mostly political considerations, Sputnik-3, as it became known in the West, was designed to be a true scientific laboratory. According to original plans, it was supposed to be the first Soviet satellite, but, as it transpired decades later, it became the fourth, after its sibling crashed in a botched launch less than three weeks earlier. A 8A91 rocket No. B1-1 with the second copy of Object D lifted off on the morning of May 15, 1958. This time, the ride to orbit went without a hitch. (473) A total of four objects were detected by Western radars after the launch: the satellite itself, the core stage of the R-7 rocket and two halves of a payload fairing, while the front tip of the fairing was probably too small to be registered. As it transpired decades later, most systems onboard the third satellite functioned for more than two weeks, even though its data recorder failed earlier. The onboard system for orbit tracking was misbehaving in the first days of the mission. John XXIII is elected as the Pope. John XXIII (Angelo Giuseppe Roncalli), is elected Pope. Paddington Bear makes his debut.